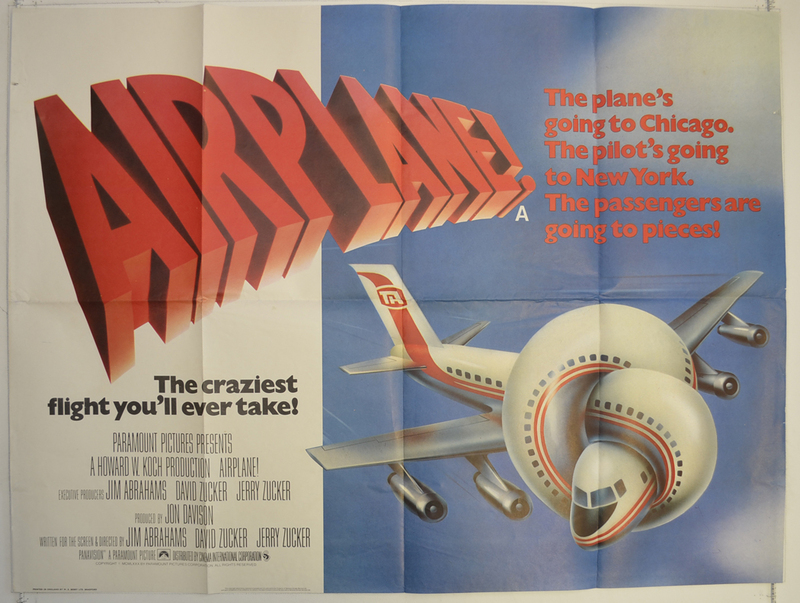 Comedy Film Bucket List Presents: Airplane! This spoof comedy takes shots at the slew of disaster movies that were released in the 70s. When the passengers and crew of a jet are incapacitated due to food poisoning, a rogue pilot with a drinking problem must cooperate with his ex-girlfriend turned stewardess to bring the plane to a safe landing.